Posted on Friday, April 10th, 2015 at 12:23 am. In order to build a strong and fulfilling relationship, you need the right tools. Here are four tips (tools from God’s Word) to help strengthen your marriage relationship. Posted on Friday, March 27th, 2015 at 8:04 pm. We don’t become one with our spouse on our honeymoon. Marriage building is a lifetime process. You don’t marry a perfect person because there are no perfect people. There are no perfect marriages, but there are strong ones. Posted on Friday, March 27th, 2015 at 7:39 pm. Posted on Friday, March 27th, 2015 at 6:11 pm. Posted on Monday, March 23rd, 2015 at 3:54 am. Love is what you do, not what you feel. If we’ll obey what God’s Word says, the goose bumps will come. 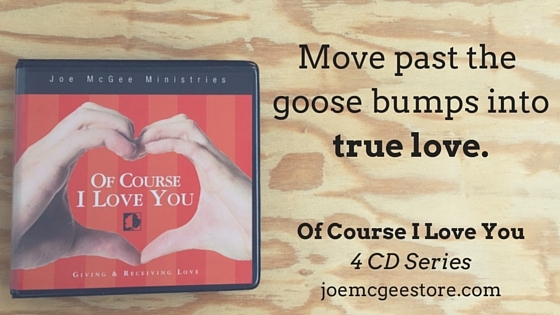 Learn more about how to give an receive the God-kind of love with the “Of Course I Love You” CD series. Posted on Wednesday, December 10th, 2014 at 5:22 pm.